There has been lots of merger and acquisition buzz in the news lately. Even if they’re just rumors and speculation, it’s important to keep up with this news because if it involves your organization, you may be impacted. When Google bought Motorola, it laid off 11,000 people. When Fedex bought Kinkos, it got rid of 9,500 people. After AOL bought the Huffington Post, 900 people got pink slipped. When Microsoft bought Nokia, it put 18,000 people on the street. And many of those let go were HR professionals, just like YOU. But what’s even worse is that these are just a few examples! Large companies acquire smaller ones hundreds of times globally every year. 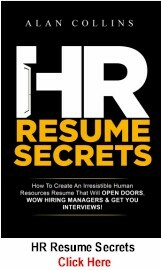 And chances are if you haven’t been involved in one of these situations yet as an HR pro, you soon will be. 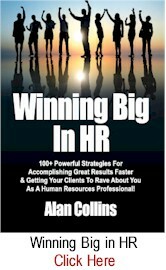 I’ve been on both sides of the corporate merger and acquisition game during my twenty-five year career in HR. And I can vouch personally that once you’re acquired you can spend lots of sleepless nights worrying about whether you’ll be retained in the company — and what to do if you are not. To me, it felt like having an unwanted guest in your house bossing you around, telling you what to do — and knowing they could kick you out of your own place, if they wanted to! Not a good feeling at all. 1. Become a positive advocate. 2. Position yourself as highly valuable. 3. Prepare your plan B. Strategy #1: Become a positive advocate of the new organization. When it comes to keeping your job during a corporate merger or acquisition, having the right attitude is crucial. This means keeping your emotions in check and being receptive to different ideas and fresh ways of doing things. Avoid, as best you can, allowing this situation to affect your performance. The decision to acquire your company was outside of your control. Your performance isn’t. So become a positive advocate of the newly merged organization. After the merger dust settles, many of your HR colleagues will waste time and energy gossiping, speculating or trying to undermine the merger decision that has already been made and out of their hands. They’ll gripe about the new HR policies, how horrible the new structure is and how clueless the new leaders are– complaining that the old organization did things far better. Don’t join in this useless exercise. Never openly disparage the move or the people who initiated it. Any time spent criticizing how unfair or unwise decisions are is a waste of your valuable time and energy that can be better spent on strategies #2 and #3 described below. Strategy #2: Position yourself as too valuable to lose. 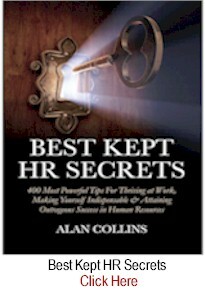 Gain an advantage over your HR colleagues by quickly acquiring an understanding of the culture of the new company and how things get done. Dig deep to determine who the new leaders and power players are. Don’t be afraid to ask management the big-picture questions about why things are done the way that they are done, and how they will be changing in the new integrated company. Then begin demonstrating to them immediately that you are the kind of flexible, value-added asset that can readily fit in to the new organization and someone that can help make their new vision a reality. You can do this by working harder than everyone around you. Pitching in and offering assistance whenever possible. And by volunteering for any merger-related activity and task force that you can get on. If you know you can save the new organization 25% in recruiting and staffing costs. Then your pitch is: “I’d like to run the new recruiting and staffing group for the Sales Department. I’m confident I’ll save us twenty-five percent and that’s pretty close to $7 million a year.” Then briefly describe your plans for how you would structure the new organization and save the combined company money. Doing all this will impress a number of higher level managers and elevate your professional profile positively during the period of uncertainty and unrest. Strategy #3: However, prepare your Plan B as well. Accept that during the period immediately following a merger or acquisition, you are being evaluated and under a microscope. Of course, your goal should be to pass this scrutiny with flying colors. However, the reality is: no matter how well liked you are, how strong your senior management connections, how good your performance has been or how well you network and try to fit in…you are at risk. 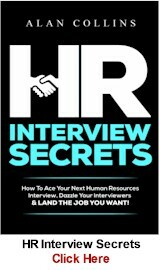 More often than not an acquisition will result in a reorganization and consolidation of the HR staff, which means you that you could wind up on the street. So don’t be naïve. Be prepared. Create a list of accomplishments. 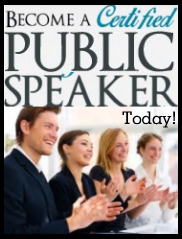 Reconnect with your network of professional and personal contacts. And begin establishing connections with HR headhunters. Do all this immediately after the merger/acquisition is announced — AND while you’re executing strategies 1 & 2 above. This will give you a head start in case the worse happens. Doing all this will also help you in selling yourself internally to the new management team. This is a lot of work, why go through all this — why not just leave? Answer: Why walk away, especially if you don’t already have a new job lined up. Besides the key executives at the very top of the organization, the final layoff decisions for everyone else will typically take some time…months, typically. And the decision to retain you will depend a great deal on your track record and your value. 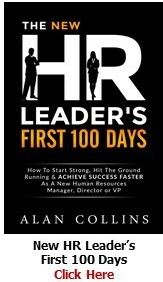 If you’re a top performer, you’re a highly desirable commodity to the new organization. So, it may be worthwhile to see how the new situation plays out a bit, before you pull the trigger. What if you do get fired quickly and unexpectedly? 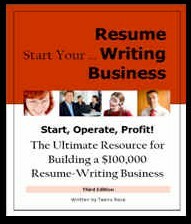 Answer: The worst thing that can happen is that you’re unprepared and you don’t get any type of severance package. However, this is unusual. You will likely to get some kind of severance in the event you lose your job. And you can also generally collect unemployment for up to a year. But you can buffer the impact of all of this by having your Plan B developed as soon as possible following the announcement of the merger or acquisition. Yeah, but what if you want to leave anyway? Answer: I’m assuming that your goal is to keep your job. If that’s not the case, let the executive team or your boss know that you don’t have a problem leaving the company. You don’t want a manager fighting for your job if you are hoping to get a severance package. 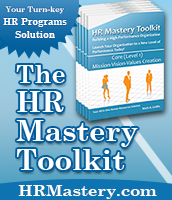 Here’s the bottom line: In almost every acquisition or merger HR people will lose their jobs. Being positive, positioning yourself valuable and having a Plan B are the best strategies for allowing allow you to survive it and come out on top. 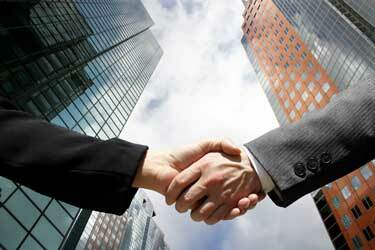 Had experience surviving an acquisition or merger? Thoughts, reactions and additional tips to share? Provide them in the comments below by clicking HERE. 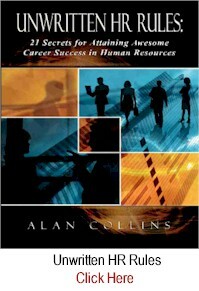 Want more strategies for not only surviving, but THRIVING in your career in Human Resources? 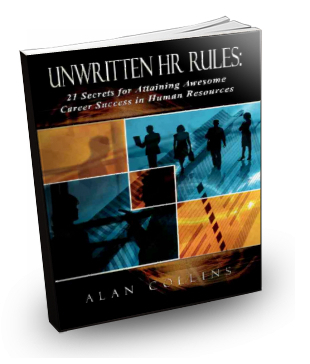 Then check out: UNWRITTEN HR RULES: 21 Strategies For Attaining Awesome Career Success in Human Resources. You can get more details HERE. 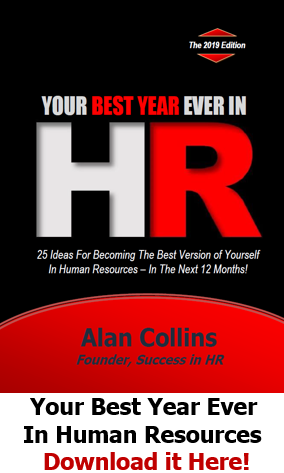 About the author: Alan Collins is Founder of Success in HR and the author of a variety of best selling books for HR professionals including UNWRITTEN HR RULES. He was formerly Vice President – Human Resources at PepsiCo where he led HR initiatives for their Quaker Oats, Gatorade and Tropicana businesses. Thanks for support and providing the situation concerns article.The more i am reading your article the more confidence felt by me in this profession. i am beginner in this field and i can relate each and every article to me. Yes Stephen, these strategies absolutely apply to organizational restructuring. In the public sector, the rules regarding separations and severance may be different, but just about everything else applies. Great point! 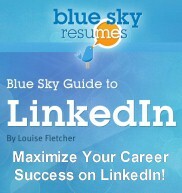 these strategies are relevant to any new age industry professional. 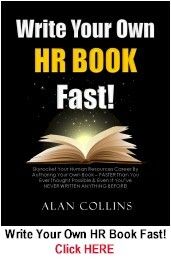 not just HR. To be prepared for the worst to come is a proactive approach to be two steps ahead of events, also to check the market even if the plan is to stay. I came across merging, restructuring and decentralizing some departments in which many seniors managers kept their candles burning for months till the dust settle down. By that that time, many of them were without jobs, others landed new opportunities for which they applied your advice word for word. This is the best and most practical advice anyone can give in the M&A situation. 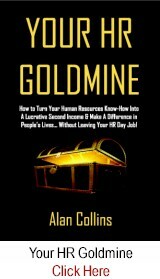 I have followed the same steps once in my career and glad that I did since eventually and lastly, the HR group was downzized tremendously in favor of the incoming HR group. Great read! Just finished one small acquisition and they are planning the next bigger …. thanks for this article. 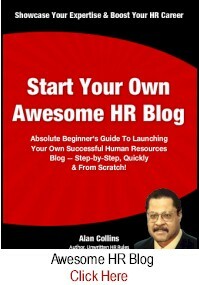 Many thanks Allan for this insightful advice. My company is facing the same too, and I’m part of the HR Team. Even though my flag is high up there in terms of performance, tying the loose ends with the guidance provided here isn’t a bad idea at all. Great article and really insightful! Thats great staff need to stay on guard not to be caught un aware. Great theme! There are a lot of things you can’t control…..use your energy to take control wherever you can!